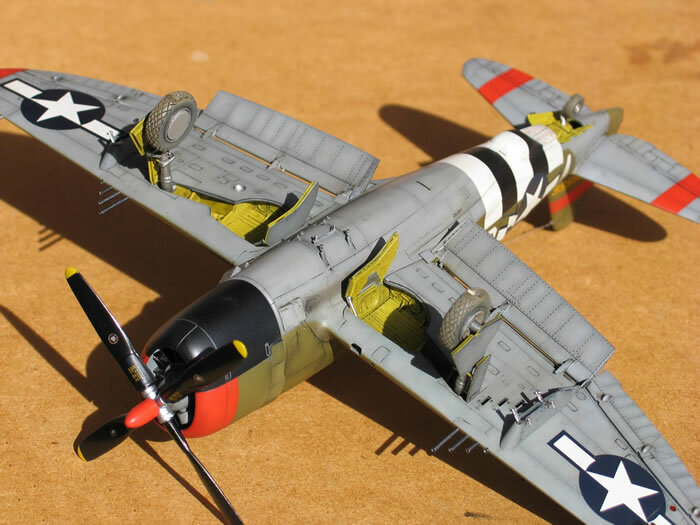 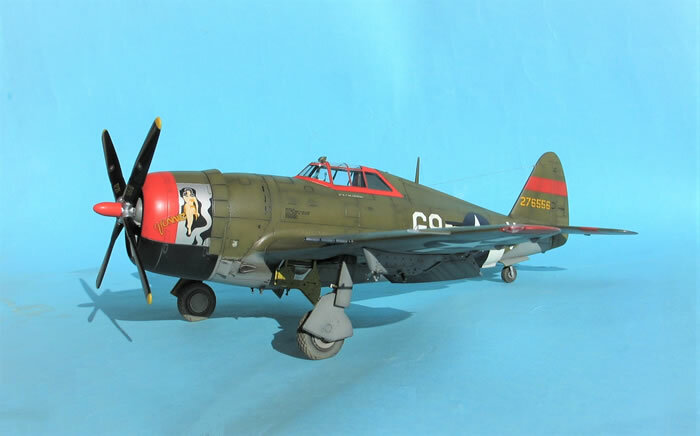 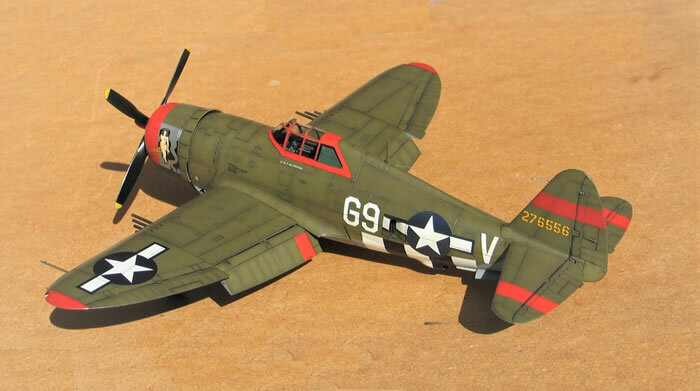 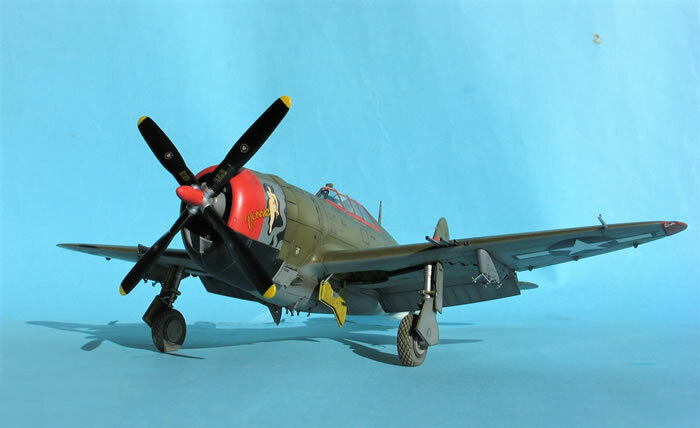 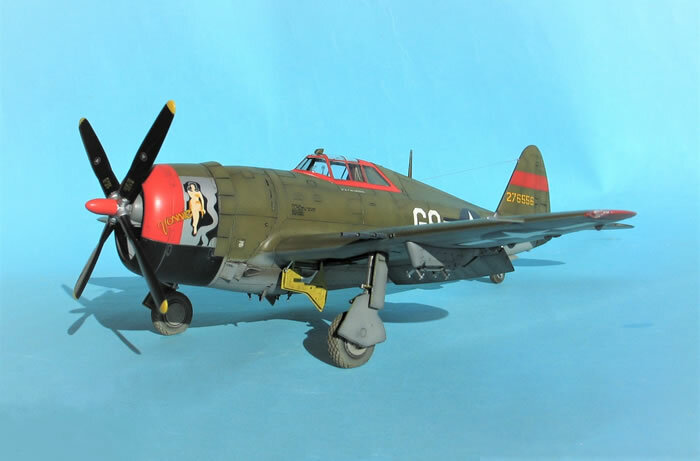 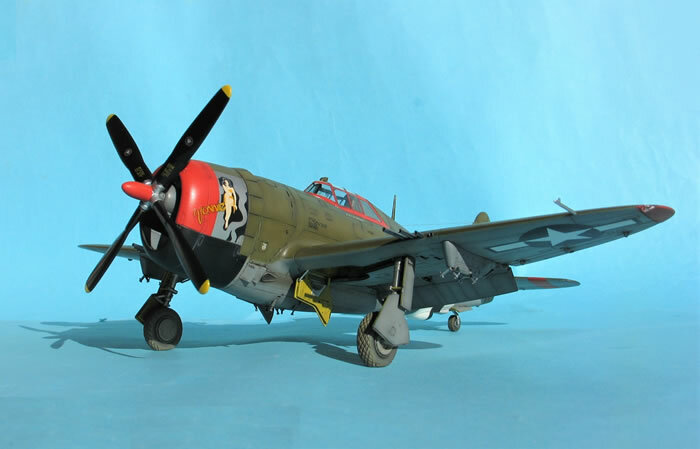 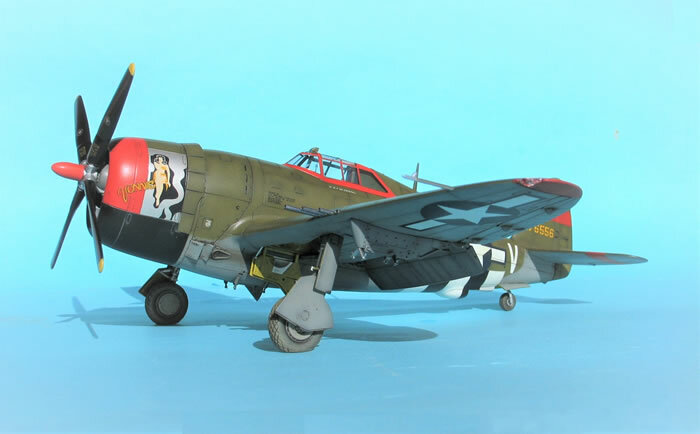 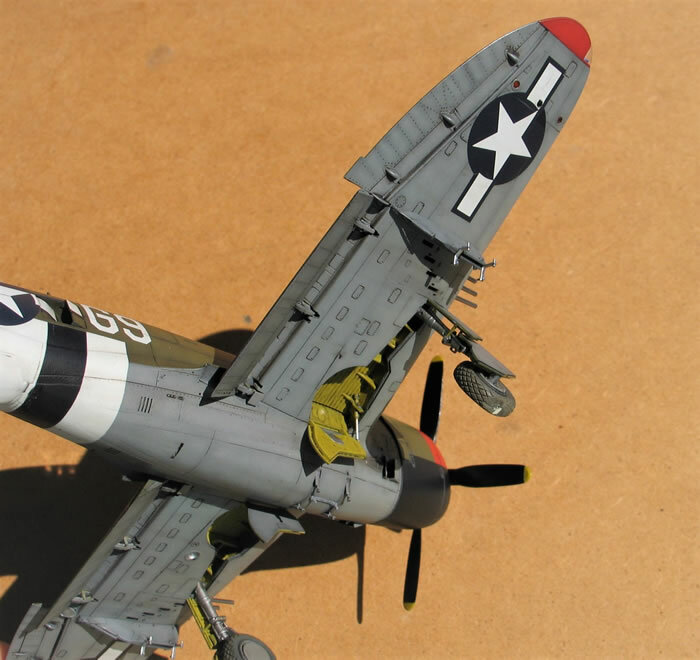 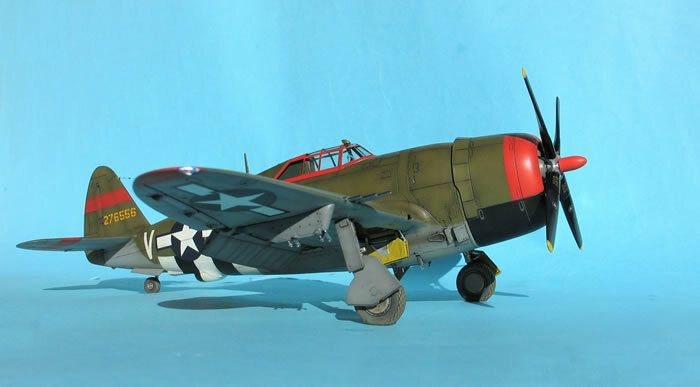 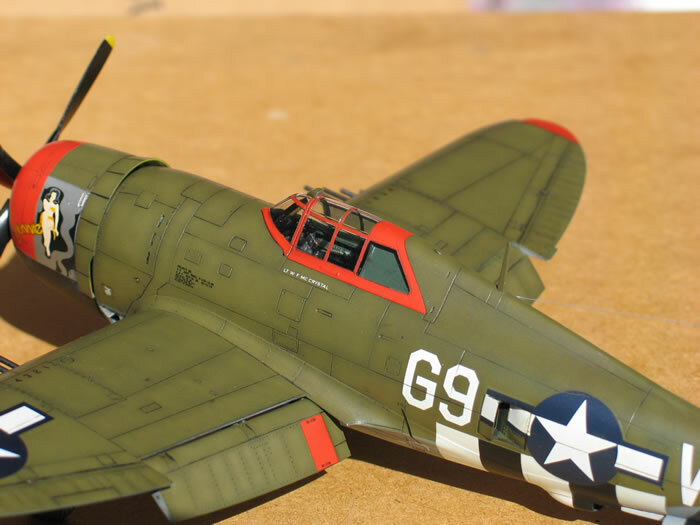 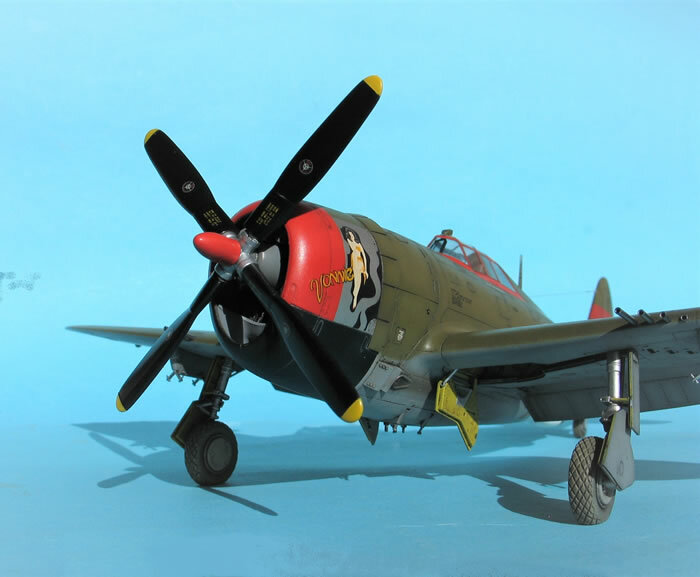 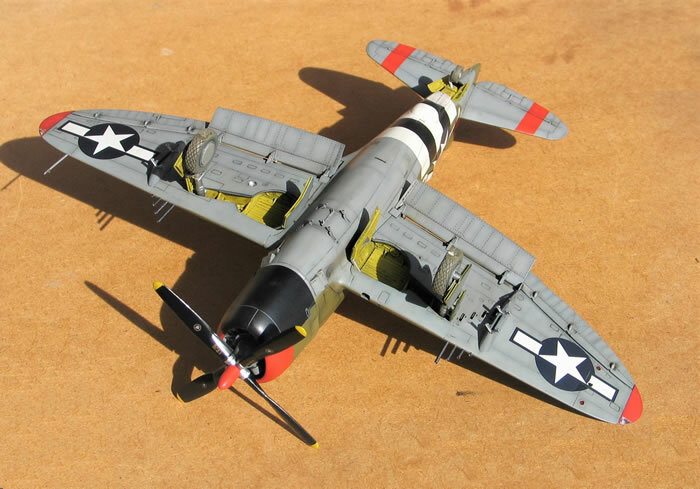 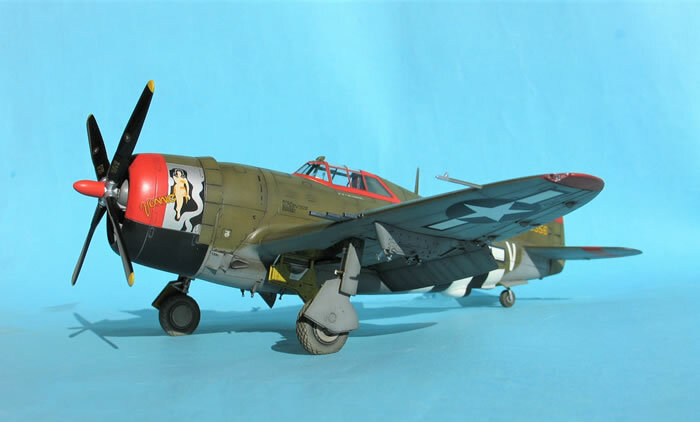 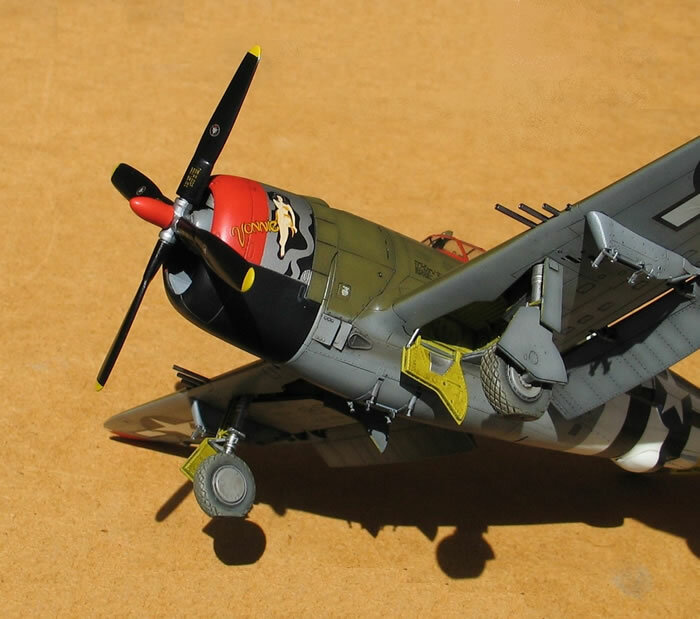 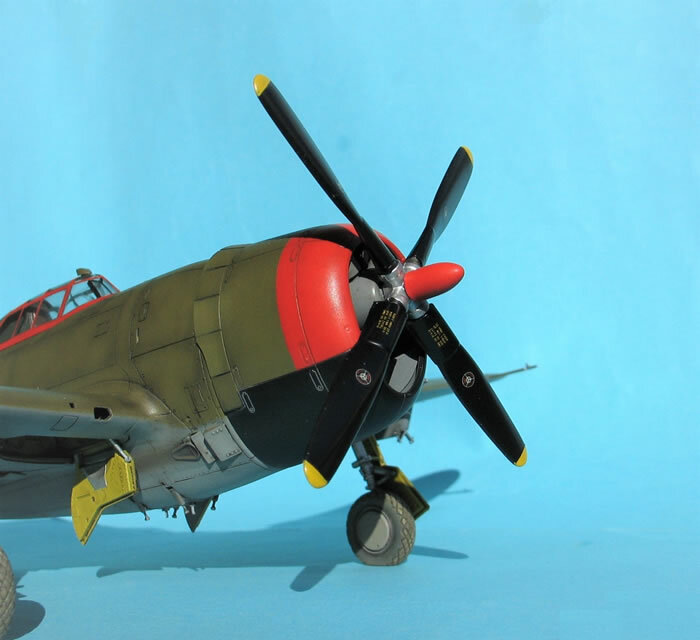 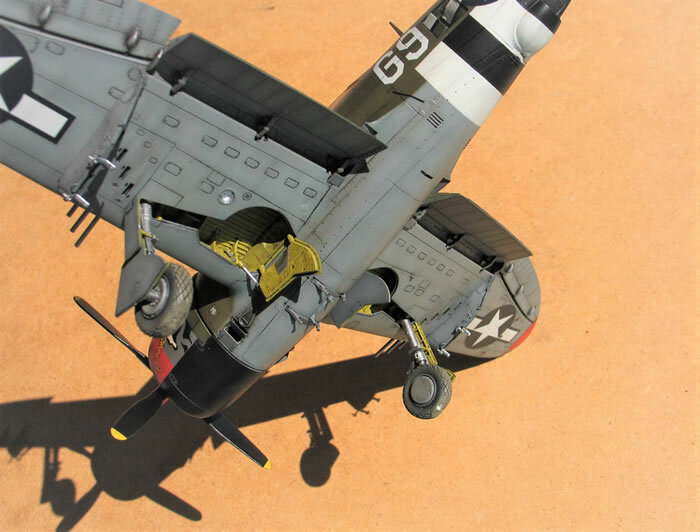 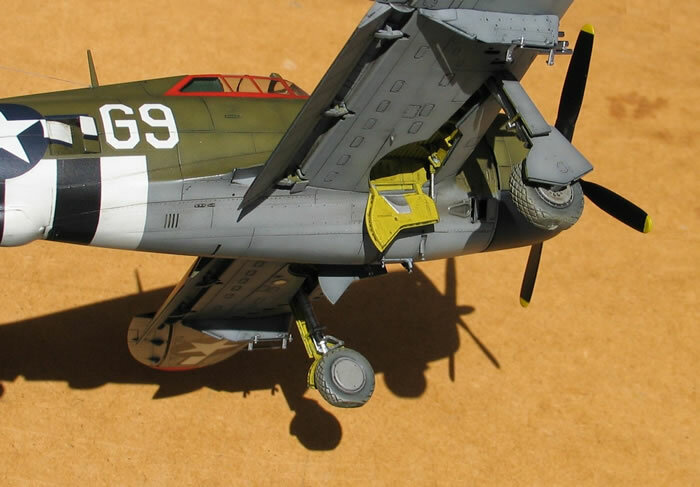 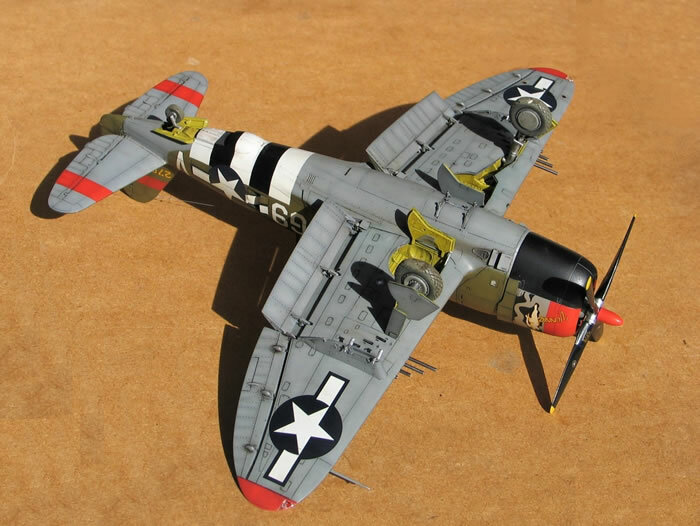 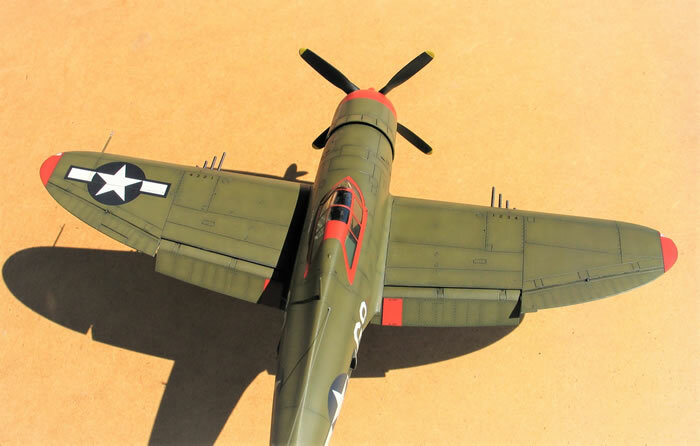 This is 1/48 Tamiya P-47D-20 with the markings of “Vonnie” 509 FS,504 FG flown by William McCrystal. 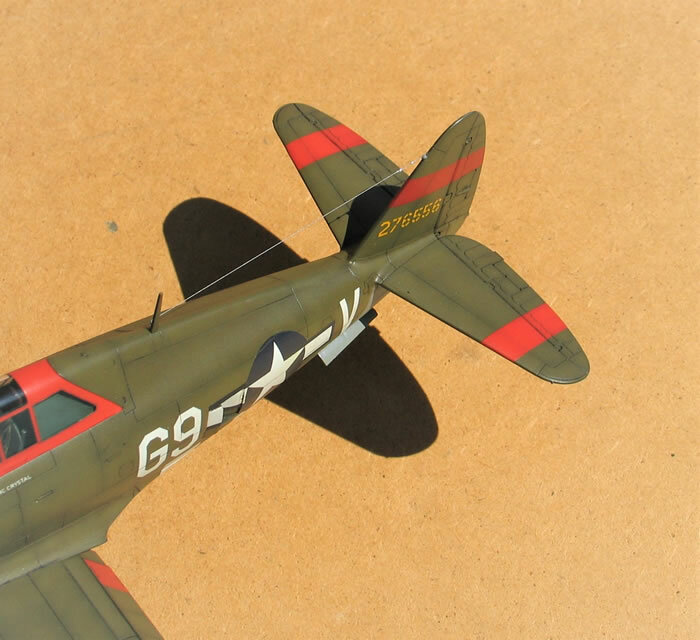 Standard Olive drab and Neutral Grey finish with red cowl, wing tips, tail bands and canopy trim. 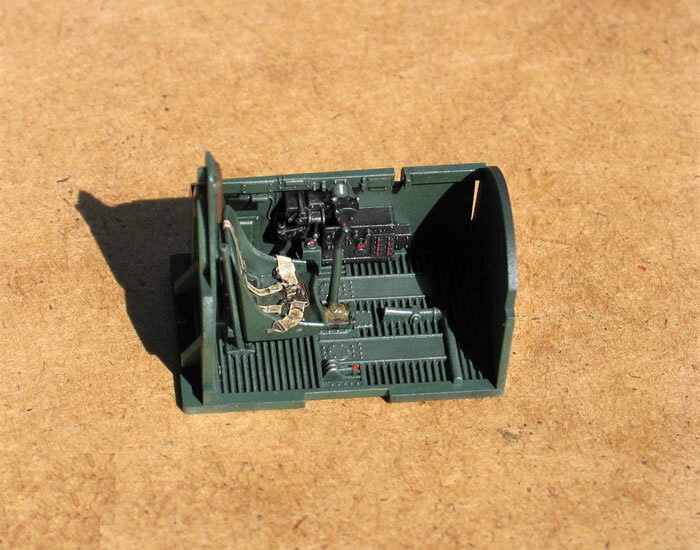 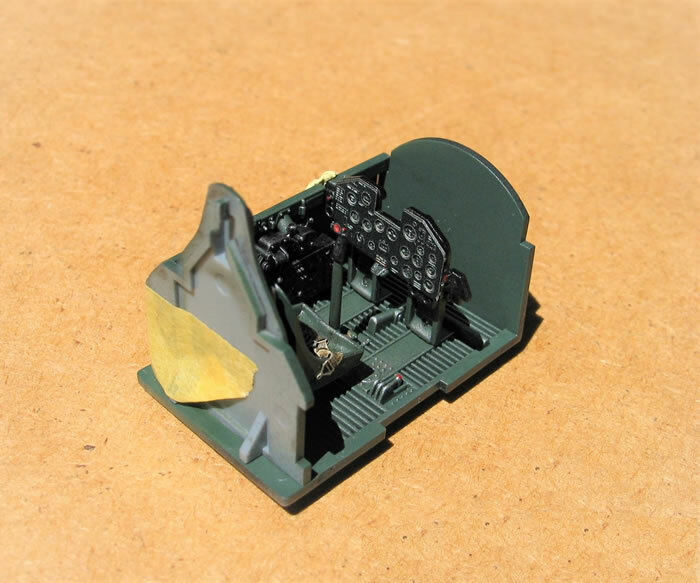 Cockpit modified with Eduard instrument panel and seat belts. 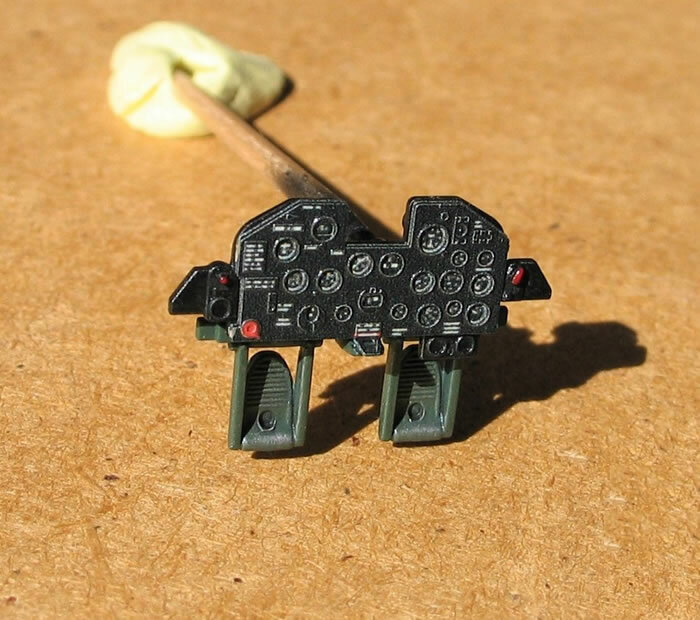 Painting done with Gunze acrylics. 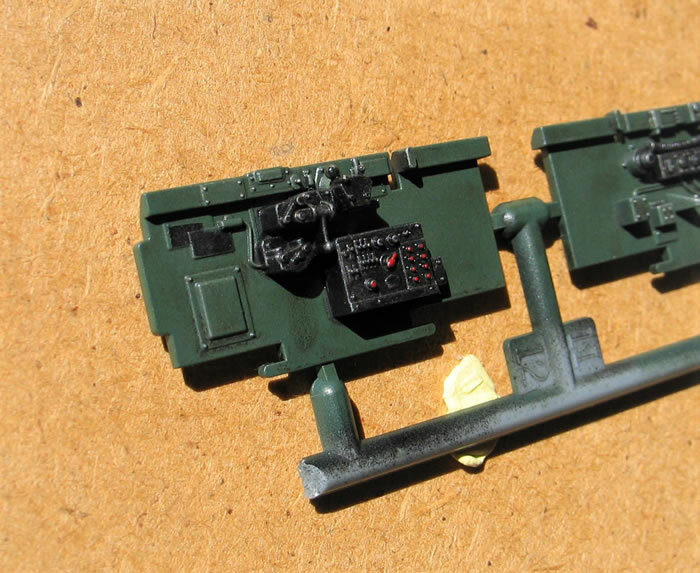 Resin wheels are from Ultracast. 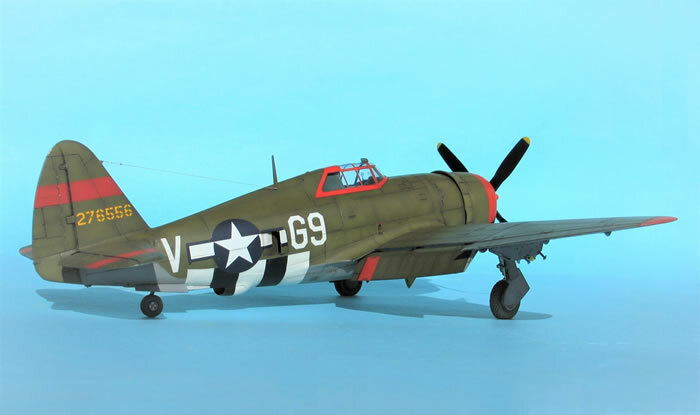 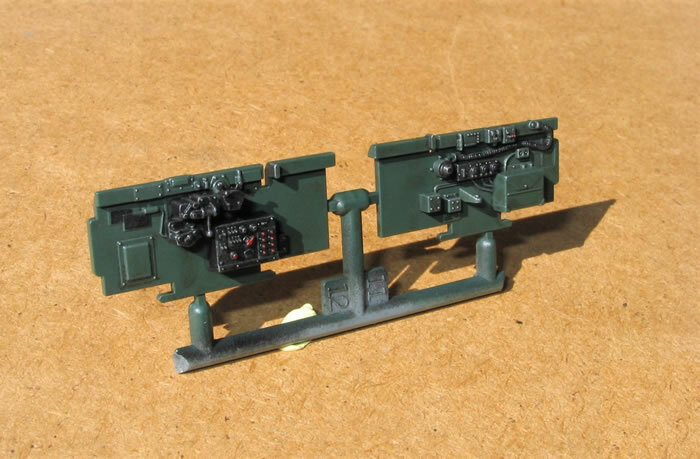 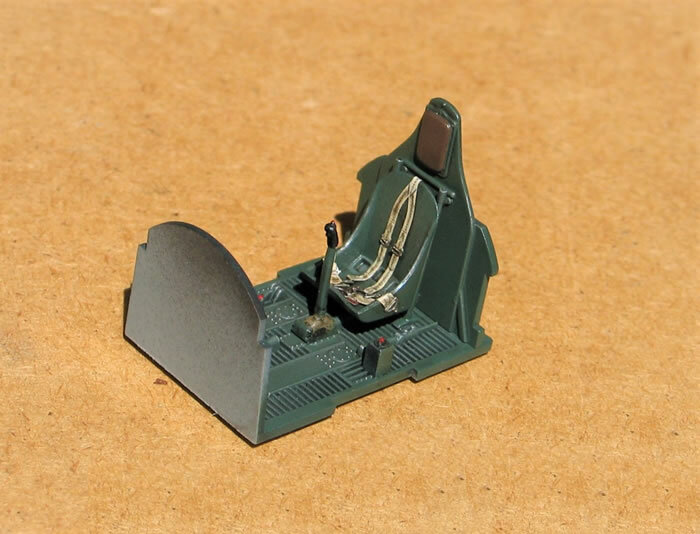 I have used Eagle Strike #48098 “American Jabos Pt.VII” decal set.